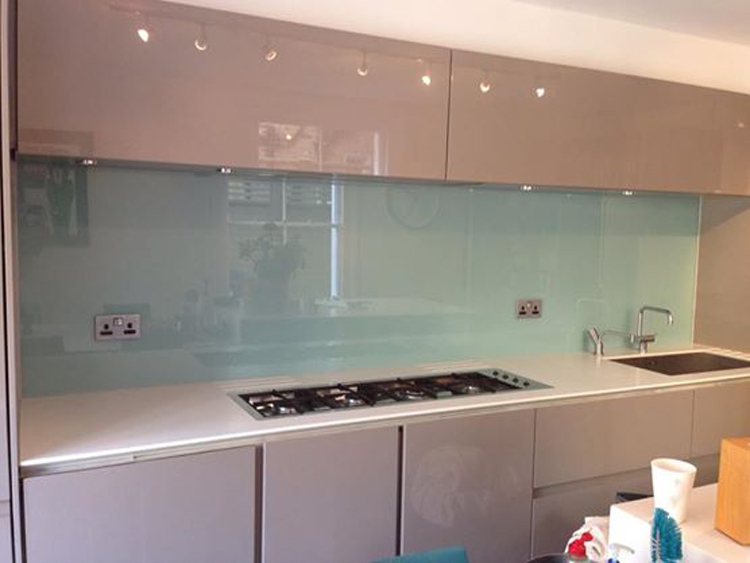 At Southern Toughening Glazing Ltd we can create and supply glass coloured kitchen splashbacks to the exact specifications of our Chiswick customers. 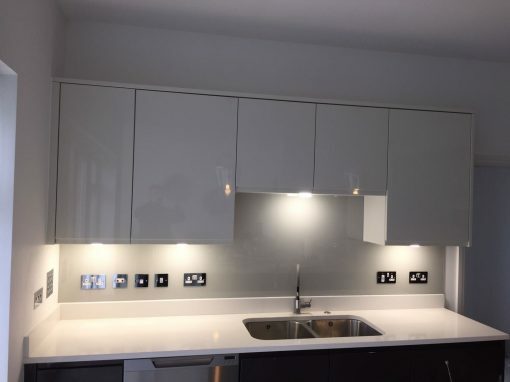 We can also ensure that they are fitted in place incorporating cut outs for plug sockets or shaping to the exact space you require. 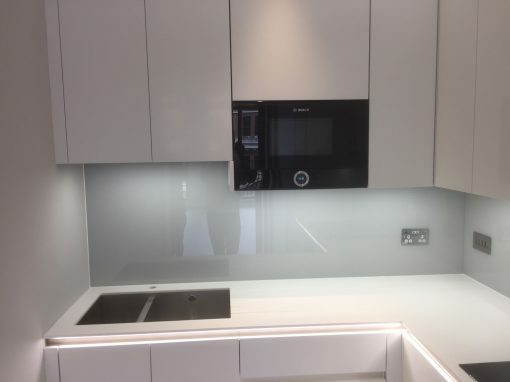 But for any Chiswick DIY enthusiasts that choose to install their glass kitchen splashbacks themselves there are two ways of fixing glass kitchen splashbacks to the wall of your Chiswick kitchen. 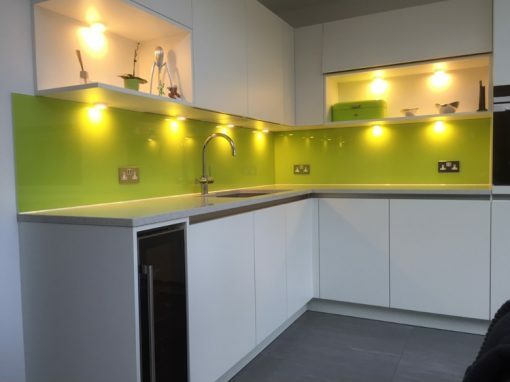 Using a silicone adhesive is the easiest method of fitting kitchen splashbacks, however this isn’t suitable for transparent kitchen splashbacks or for kitchen splashbacks that may need to be removed for any reason. In these circumstances, screw fittings will prove the most appropriate method. 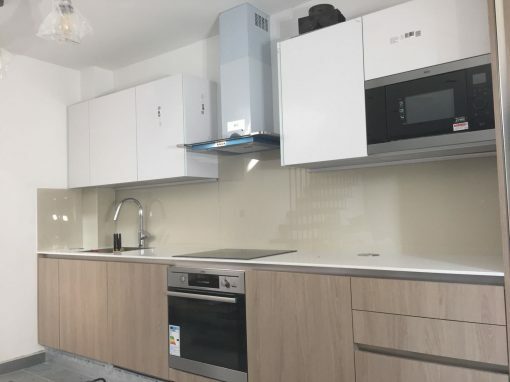 If you are planning to use screw fittings ask Southern Toughening Glazing Ltd to prepare the kitchen splashbacks with the necessary holes. Use silicone sealant around the perimeter.